45 minutes from Hasuda, nearest station of Tokyo Titanium, to Tokyo st. by JR Utsunomiya line and Yamanote or Keihin line. 37 minutes from Hasuda to Shinjuku st. by JR Shonan Shinjyuku line. 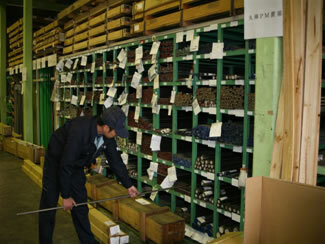 Most diverse materials inventory, worldwide!